This stunning, large 3 bedroom ground floor apartment in walk-in condition boasts spacious accommodation of 93sq.m (1,001sq.ft) with a private south facing patio. The apartment benefits from an extremely large open plan living/dining/kitchen and three double bedrooms with master en-suite. Presented in excellent condition throughout and offering well proportioned and bright accommodation, this apartment benefits from a private south facing patio which gets the sun throughout the day. No. 25 has a designated car parking space as well as plenty of visitor parking. Built by the renowned Park Developments, the development boasts having its own amenities on site to include, a Crèche, Centra convenience store, and Blackglen Pharmacy. The 114 bus, which brings you to Blackrock Dart Station travels through the development while the 44B stops a short walk away. The location is excellent with every conceivable amenity within striking distance. 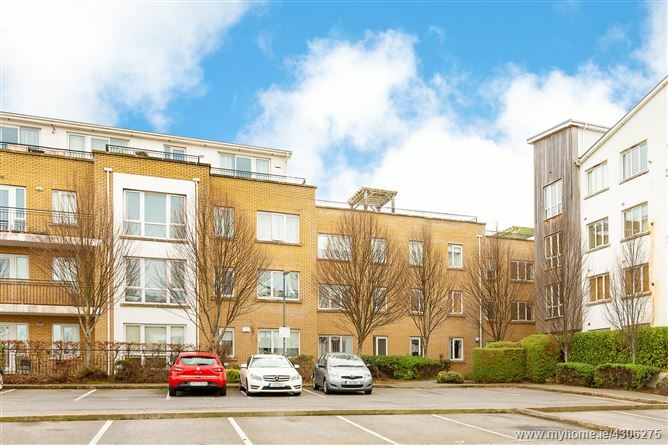 Dundrum, Sandyford, Foxrock and Stillorgan villages are all within easy reach providing an extensive range of shopping facilities, restaurants and bars, while some of Dublin's finest schools and colleges are conveniently close by including Wesley College, St. Benildus and UCD to name but a few. Transport facilities are well catered for with the LUAS and the M50 both close by, providing easy access to the city centre and surrounding area. This apartment would ideally suit a first time buyer, someone looking to downsize, a family, a couple or an investor.